Smriti Irani (born 23 March 1976 at Smriti Malhotra) is an Indian politician, former model, actor and television producer. Iranian deputy, elected to Rajya Sabha of the state of Gujarat. She is currently the Minister of Textiles in the Indian Government. Iran joined the Bharatiya Janata party in 2003. She became vice president of youth in Maharashtra in 2004. 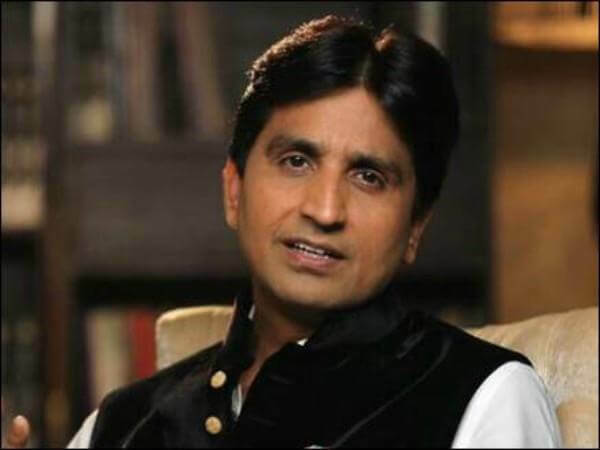 In the 2004 general election for the 14th Lok Sabha, she unsuccessfully contested Kapil Sibal from Chandni Chowk in Delhi. Irani was one of the finalists in the 1998 Miss India beauty contest, alongside Gauri Pradhan Tejwani. In 2000, she debuted with Kal Aaj Aur Kal's Aatish and Hum Hain series, both of which aired on Star Plus. Apert of that, she also played in the Kavita series on DD Metro. In mid-2000, Iran won the leading role of Tulsi Virani in Kyunki Saas Bhi Kabhi production. She holds the record of five consecutive awards given to the Indian Television Academy for best actress (Popular), four Indian Telly Awards. Iran has fallen with producer Ekta Kapoor and she left the series in June 2007 and was replaced by Gautami Kapoor. She made her comeback in May 2008 in a special episode. In 2001, she also played Sita's epic character in Zee TV's Ramayan. In 2006, Irani co-produced Thodi Si Zameen Thoda Sa Aasmaan under his banner Ugraya Entertainment and Balaji Telefilms. She also played the main role of Uma. In 2007, she produced the television series Virrudh for Sony TV and an interpretation of the main character of Vasudha. She also produced She also played a supporting role in Teen Bahuraaniyaan of Zee TV. In 2008, Iran and Sakshi Tanwar hosted the Yeh Hai Jalwa show, a celebrity reality TV show featuring celebrities and their troops on 9X. The same year, she also produced another show on Zee TV, Waaris, which ended in 2009. In 2009, she appeared in a comedy show Maniben.com, broadcast on SAB TV. She has also co-produced the show in collaboration with Contiloe Entertainment. In 2012, she worked in the Bengali film Amrita. Irani, Prime Minister Narendra Modi and President Pranab Mukherjee at the IIT Board of Governors and Directors' Conference in Rashtrapati Bhawan on August 22, 2014. Irani and the Prime Minister Modiators of an informal interaction with teachers laurent on the eve of the teachers' day in New Delhi. Iran joined the Bharatiya Janata party in 2003. She became vice president of youth of Maharashtra in 2004. 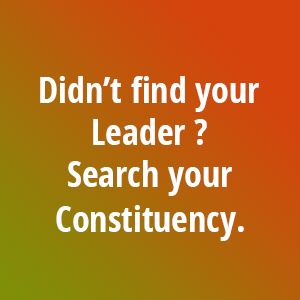 In the 2004 general elections for the 14th Lok Sabha, she unsuccessfully challenged Delhi. 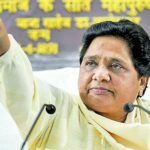 She has been appointed a member of the central committee of the BJP. 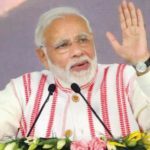 In December 2004, Irani, accused by the head of Gujarat, Narendra Modi, of electoral losses by the BJP, threatened to go to death until his resignation. 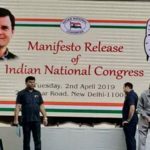 However, she has retracted from this request   In May 2009, Irani, campaigning for Vijay Goel's candidacy in New Delhi, is among her concerns about women's security in the capital. She advocated the death penalty for rapists as a deterrent. 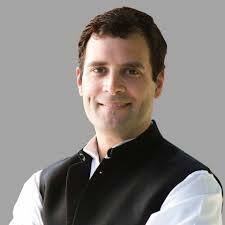 Iran has contested the 2014 general elections against Rahul Gandhi in the district of Amethi, Uttar Pradesh. Irani lost to Gandhi by 1.07.923 votes, a margin of 12.32%. On May 26, 2014, Prime Minister Narendra Modi appointed the Minister of Human Resources Development to his office. His candidacy has been criticized by many people for lack of higher education. Iran has been accused of misrepresenting its diplomas. Sworn statements were submitted by her at their election in different elections . In June 2015, a court of first instance found that the allegations against Iran were maintainable and that a delay in prosecution was not a valid ground for a license. Iran has asked people to file an IPL about his academic qualification to know the truth about the sworn affidavit controversy. Iran, has a speech in Parliament in which she discussed the 2016 controversy over the JNU edition and Rohith Vemula's suicide. Dr. Rajashree M of Hyderabad University contradicted some of Iran's claims about the circumstances of Rohith's death. She announced the creation of new yoga departments in six new universities in June 2016. In July 2016, the Ministry of Human Resources Development and Human Resources departed Iran, and the Ministry of Textiles itself passed through a cabinet reshuffle. In July 2017, she was in charge of the Ministry of Information and Broadcasting (India). On May 14, 2018, the ministry itself was abducted and his deputy Rajyavardhan Singh Rathore was appointed to the portfolio. This is the state office of the Ministry of Information and Broadcasting. On October 6, 2016, the Court of Patiala on Thursday asked the Electoral Commission to authenticate the certificates of the Minister of the Union, Smriti Irani, and to postpone them until October 15. On October 18, 2016, a Delhi court declared that Smriti Iran was not summoned for this false certificate, as the petition filed against Iran to interrogate his university degrees was an attempt to harass. The court stated that the complainant can not be declared if she was not a central minister. The Metropolitan Magistrate Harvinder Singh said the initial evidence was already lost because of the passage of years, secondary and not sufficient evidence for the court. The magistrate also said that the plaintiff had "delayed by 11 years" the filing of the complaint against Iran. Iran was also awarded a degree in political science from Yale University, which turned out to be a mere six-day training program followed by a group of MPs at the time. 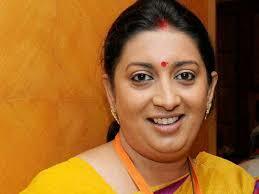 In 2001, Smriti married Zubin Irani, a Parsi businessman. In October of the same year, the couple had their first child, his son Zohr. In September 2003, the couple had their second child, daughter Zoish. Smriti is also the mother-in-law of Shanelle, daughter of Zubin Iran since her previous marriage with the coordinator and former beauty candidate, Mona Irani. Ugraya Agro Farms PVT. Ltd.
Total Area 325 Sq. mtr.